2017 Calendar Inspiration, FREEBIE & Motivation! 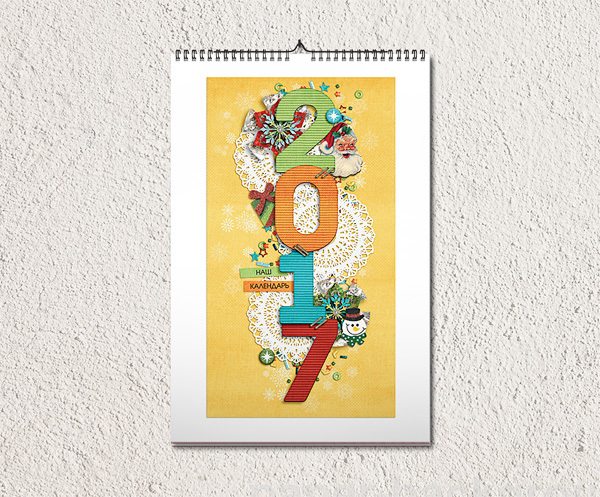 Every month of 2016 I scrapped a Calendar Topper for a 2017 Calendar with my 2017 Calendar Templates that I released each month. I also did this last year, and I loved the end result, so it was easy to keep up the habit this past year, knowing what I would be getting in return. This year I decided to switch from a 12x18 top hanging calendar from Adoramapix to making 8.5x11 toppers and just using a premade calendar grid from Persnickety. 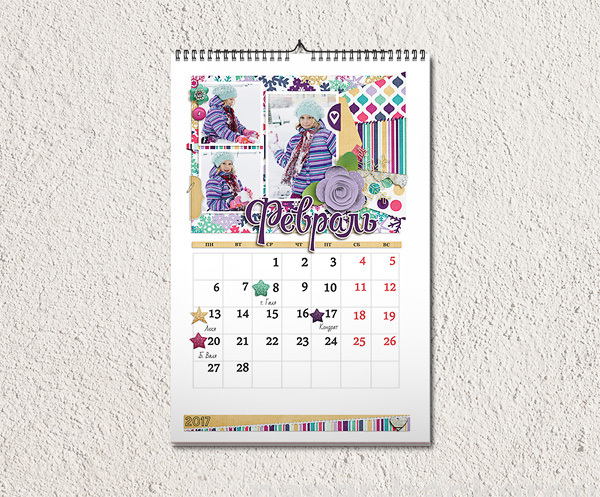 I just ordered my calendar this week, and I can't wait to receive it. I'll share a review once I receive it. You can see my pages above. I used papers and elements from the Memory Pockets Monthly kits at The Lilypad. A couple of my team members also created 2017 calendars with my calendar templates. Here's Katya's. She did the full 12x18 top hanging calendar. Here's her cover page. 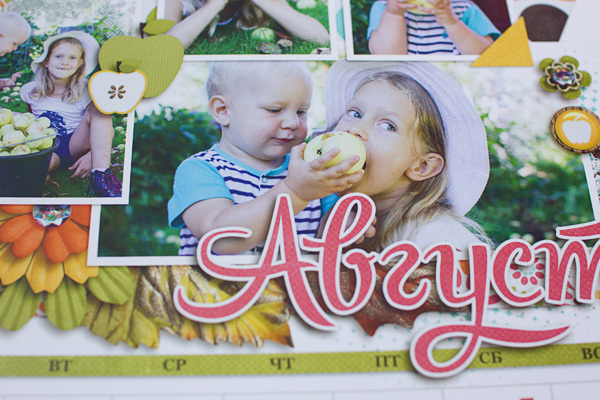 She used my FREE 2016 Calendar Cover Template freebie and just switched the 6 out with a 7. Love the top hanging calendars! Here are some close ups of her calendar. It looks so realistic! 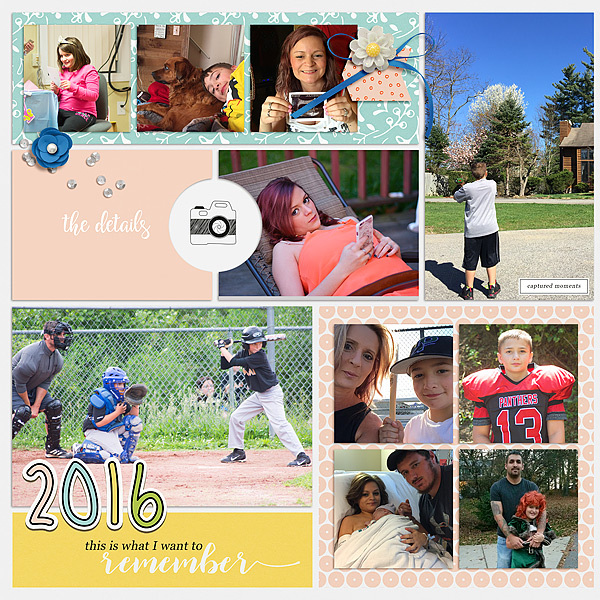 Amanda also created a 2017 Calendar. 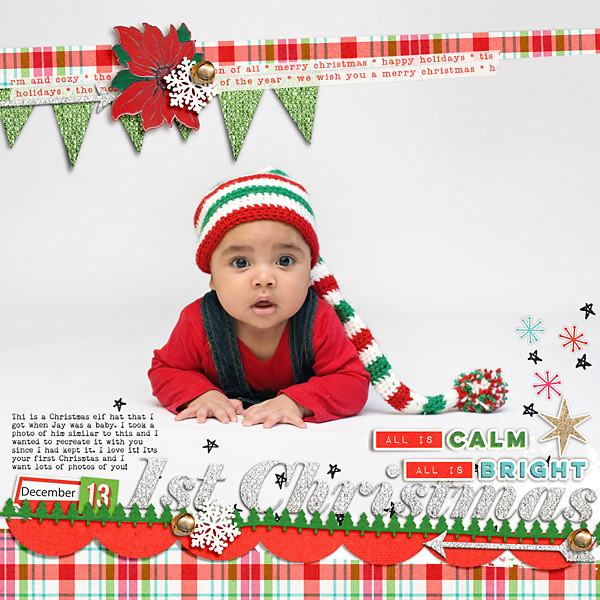 She used the 12x12 templates and printed with Snapfish. She was very happy with her results! Now for the good news! I'm going to continue making these calendar templates each month. 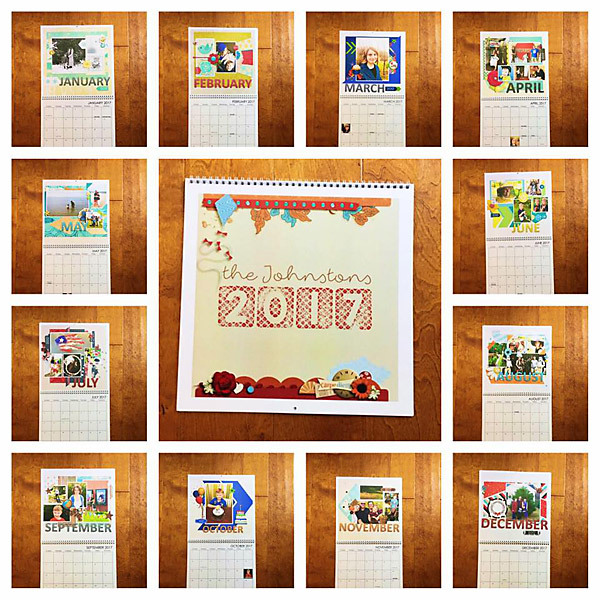 That way you can make a calendar page each month and be ready to print a 2018 Calendar at the end of the year. It's much less intimidating if you scrap one calendar page a month than trying to cram it all in at the end of the year. My first set will release in a couple of weeks. 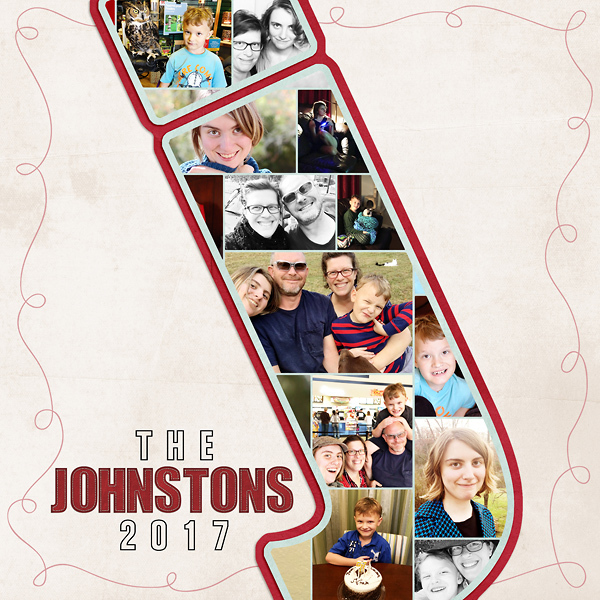 I had a few request to make another 2017 Calendar Cover Template. 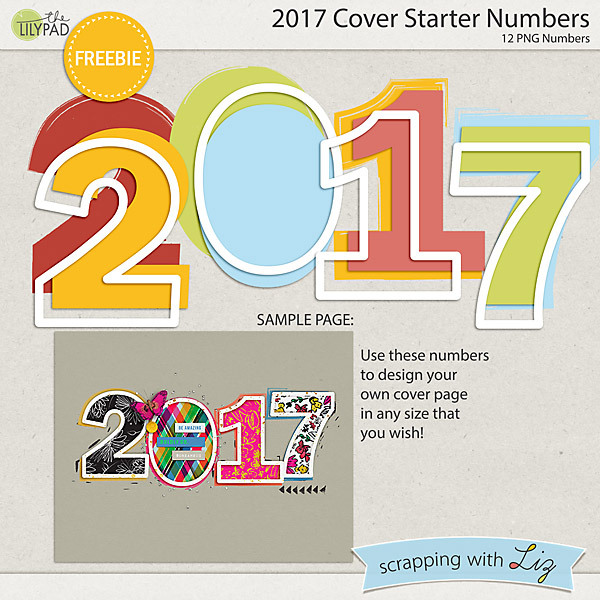 I've been short on time, but I did create some numbers that you can use to create your own 2017 topper. With the numbers you can use it for any size cover you need to make. Or feel free to use my previous 2016 template and change out the 6. Here's the cover for my 2017 calendar. I might do something similar for my 2017 Album! Just click on the image to download. Join me and my team in creating a 2018 calendar, you won't regret it! 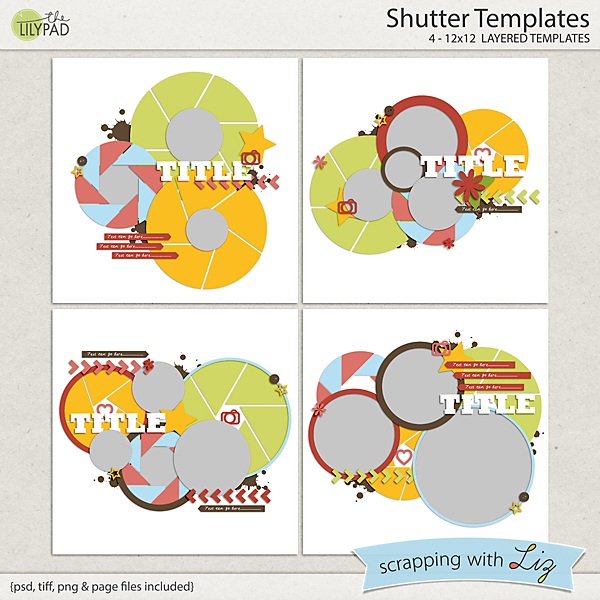 New Templates & 50% OFF SALE! 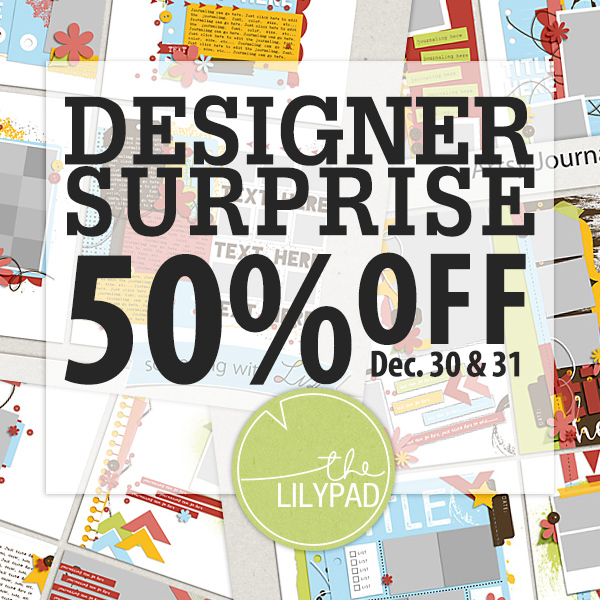 Today for December Deal Days over at The Lilypad is the Designer Surprise. 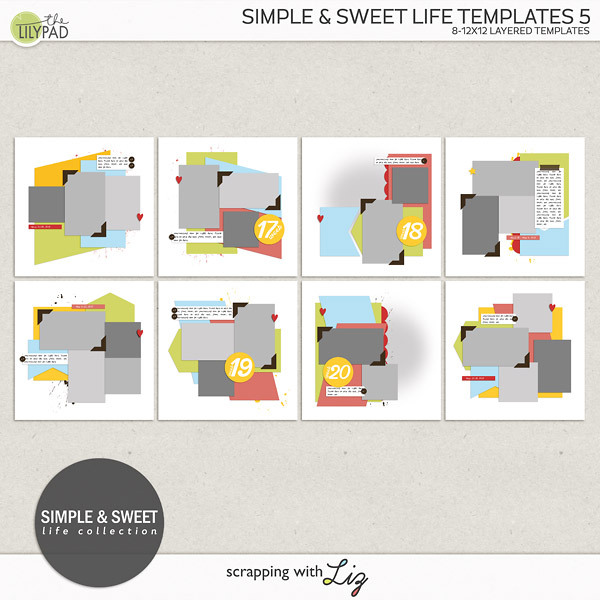 I've decided to put my two new releases and all of my Artsy Journal Templates on sale for 50% OFF! And here are my two new releases that you can also get at 50% off through Saturday! 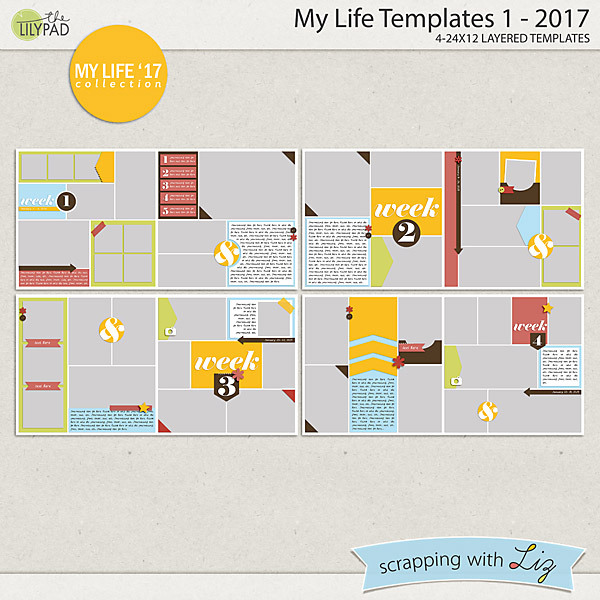 My Life Templates 1 - 2017 is my newest set for scrapping weekly photos. I'll be releasing a new set each month. I've decided to do more of a pocket style this year. I need to change it up every once in a while! 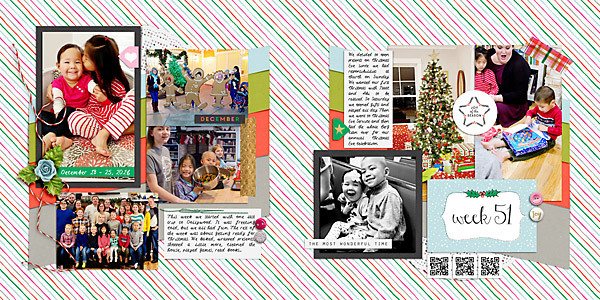 I hope you'll join me in scrapping a double page every week of the year. 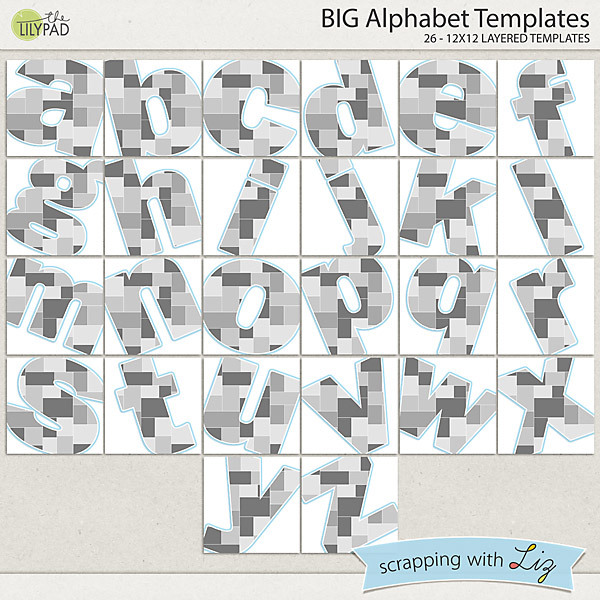 There's been a lot of requests for me to re-release these Big Alphabet Templates. I revamped them a bit and now they are in the store at The Lilypad. I heard there might be some sort of alphabet challenge during the MOC (Month of Challenges), this is the perfect chance to get them now at 50% off! Speaking of the Month of Challenges, it's something you might want to try your hand at. 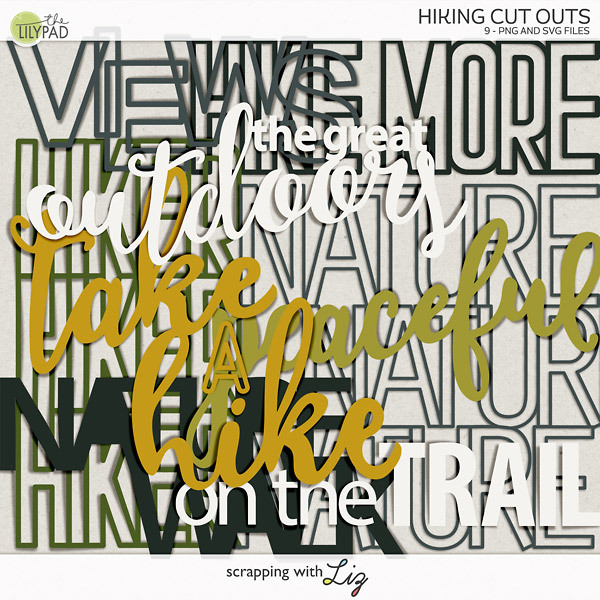 It's a great way to get your creative juices flowing, learn some new techniques and get a lot of scrapping done. Plus, if you finish you get $20 to TLP! And here's some inspiration for you with my new releases! 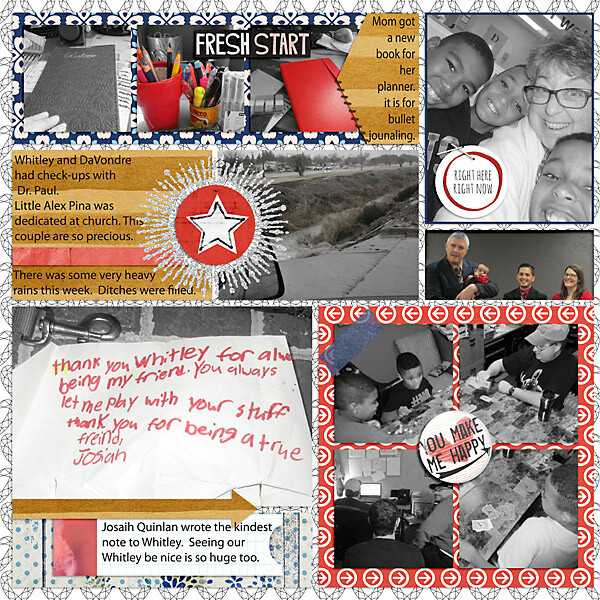 This first group is from my new My Life Templates 1 - 2017. Anne made this fun page. I love how she included the hand written note. 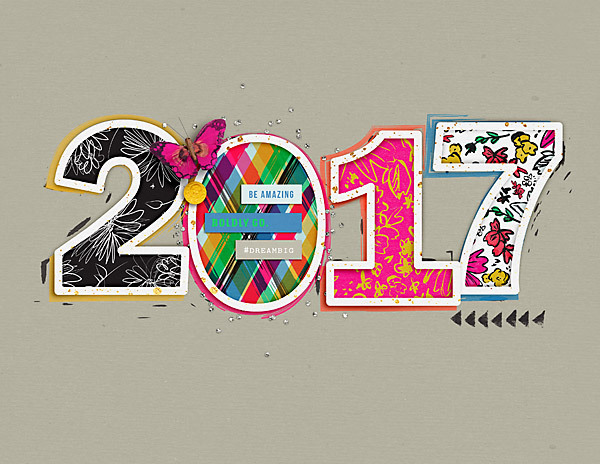 Arron made this fun, bright page welcoming 2017! I love how Jan used this template. It's getting me excited to scrap my double pages with these. The other side of Jan's page. This next set is made with my Big Alpha Templates. 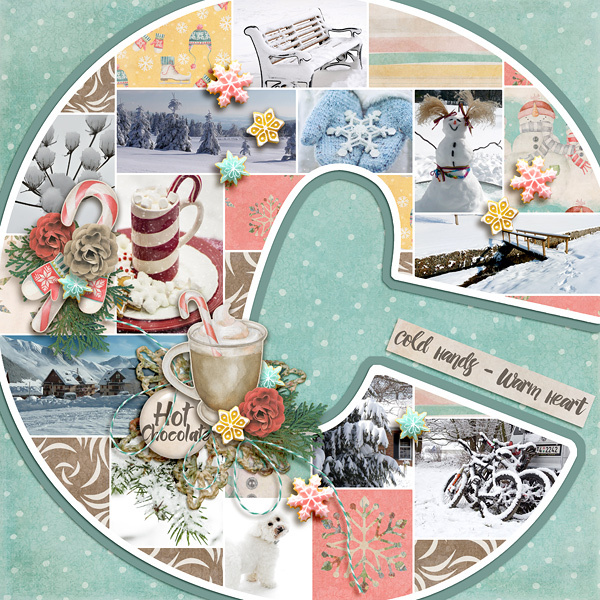 Ellen made this wonderful winter page with the letter C.
Ona made this gorgeous page. I love her use of B&W photos mixed with the pastel colors. 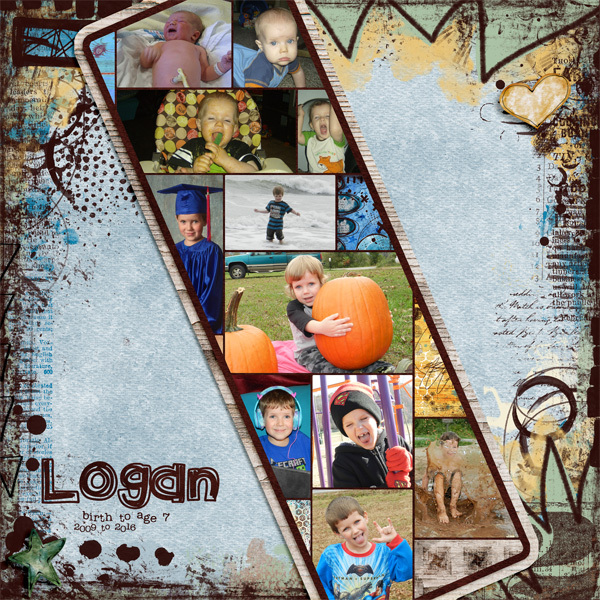 Amanda made the perfect cover page with the letter J.
Christina used the L to highlight her son Logan. 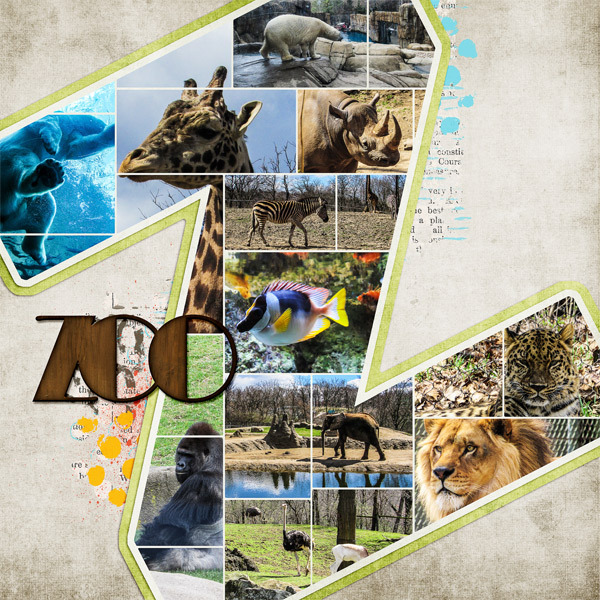 What a fantastic Zoo page by Donna using the letter Z. Remember both of these new sets plus my Artsy Journal Templates are all 50% OFF through tomorrow only! The week before Christmas and all through the house there was baking and wrapping and excited children. We started the week with a trip to Dollywood. We wanted to go to see the Christmas lights and parade. It was freezing cold, but we had so much fun. The rest of the week was spent preparing for Christmas. Countless wonderful memories were made this week, I can't even begin to describe them all. 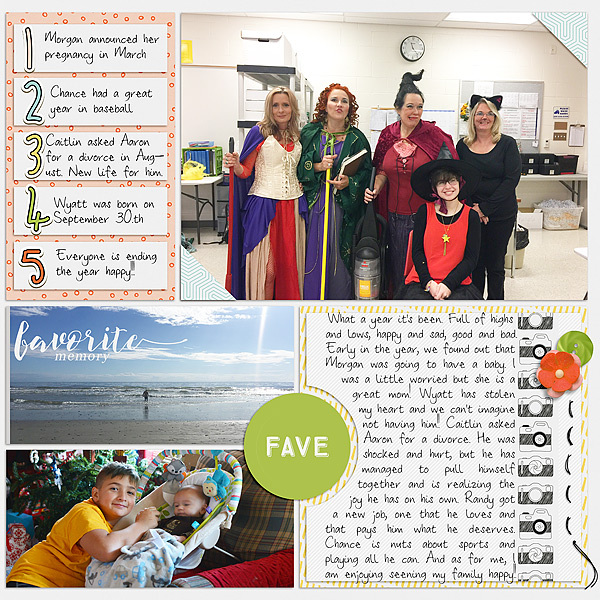 There are many more photos than what you see here, and I hope to capture them on more scrapbook pages down the road, but for now I think I have a nice recap. Can you believe I only have one more week to scrap before my 2016 album is done? I think this is my 5th year scrapping a weekly page. I'm definitely doing it again next year. These albums mean so much to my family. All of my kids enjoy looking through and being reminded of all our precious times together. Keep a look out for my 2017 template sets...the first set will be in the store VERY soon! 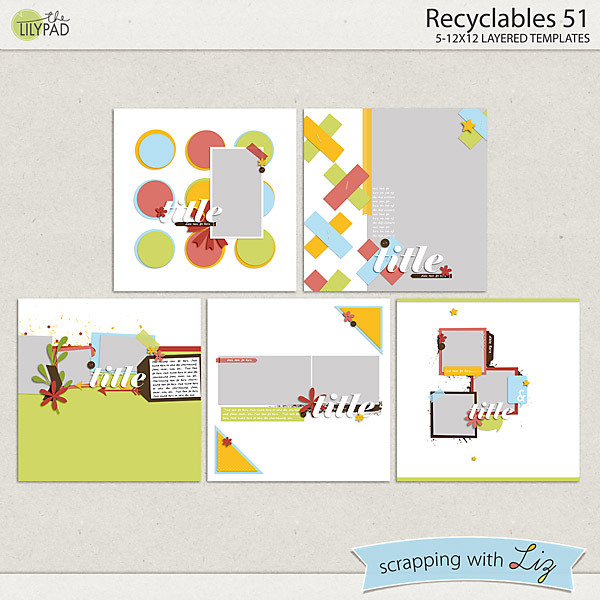 Today I have a really fun set of paper pieced templates and a new set of Recyclables, which are collections of past freebies and challenge prices that I group together and place in my store at a great price. 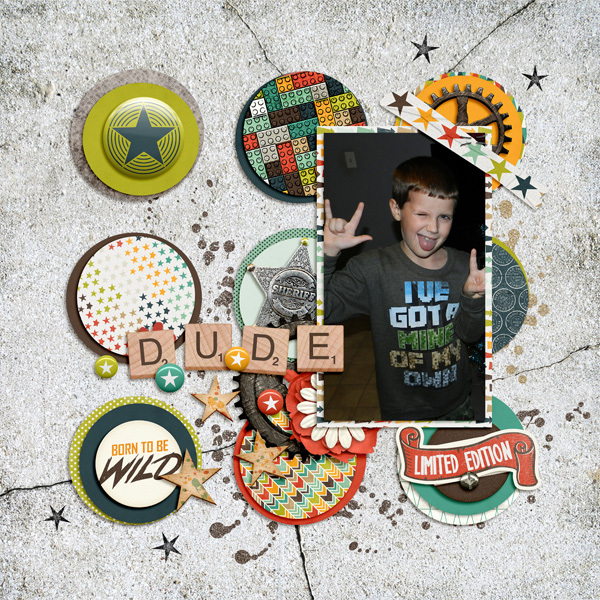 They are great samplers of my designs with lots of variety. Enjoy the 50% SOSN discount on these products today only, December 28, 2016. 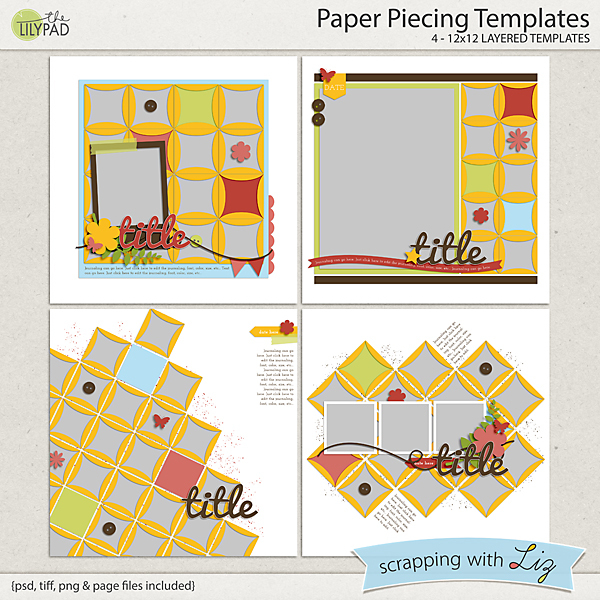 Paper Piecing Templates were designed to have the look of folded-over paper pieces. They are really fun to use, with photos or paper peeking out from behind those "folded" pieces. Recyclables 51 has a lot of variety, from circles, to a big photo background, to some fun angled and scattered picture spots. 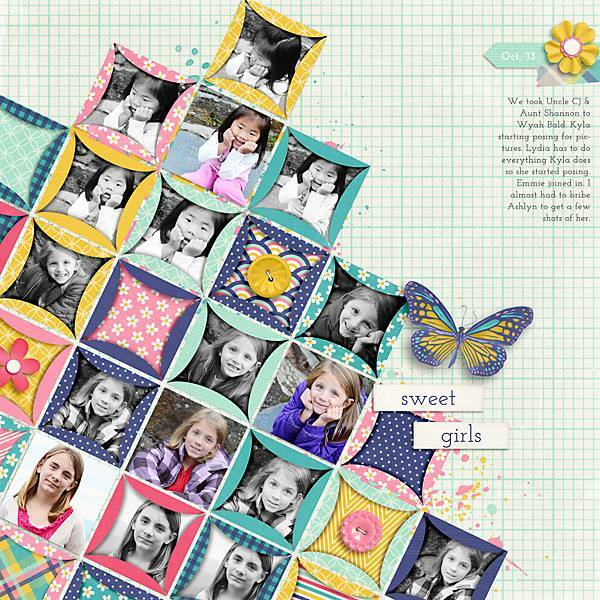 I thought it would be fun to share one of my old pages with Paper Piecing Templates. I love the black and white photos paired up with all the colorful papers. And Christine also had fun with patterned and solid papers, using Recyclables 51. 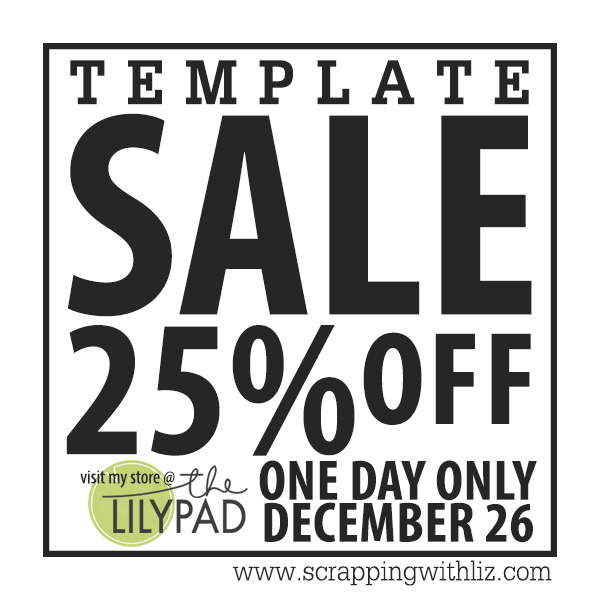 25% OFF ALL TEMPLATES - Today only! 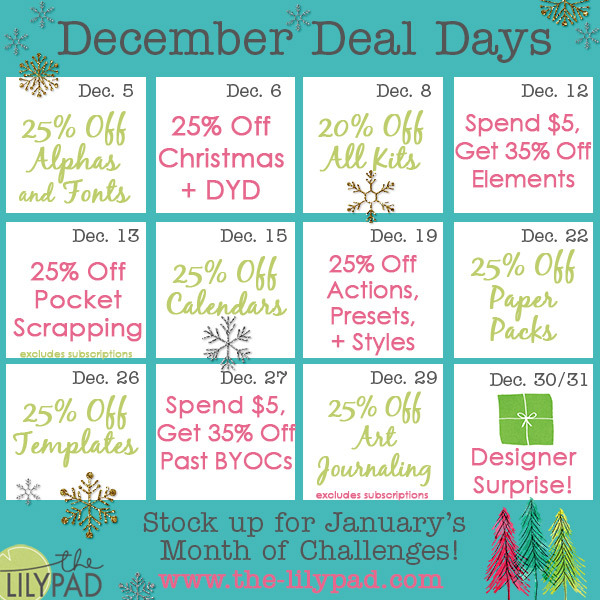 As part of The Lilypad's December Deal Days today is 25% off all templates! That means almost my entire store is 25% off. It's a great time to stock up on some templates. And you see that designer surprise? I'll have something special for you on Friday! 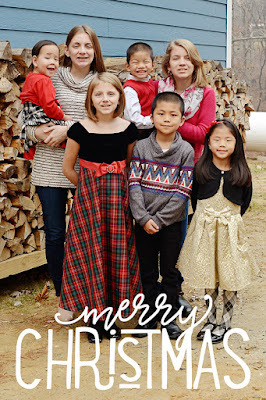 I snapped this photo of the kids outside our home really quick one Sunday after church. It's not the best, but it will have to do until I can get a professional photographer to take family pictures. 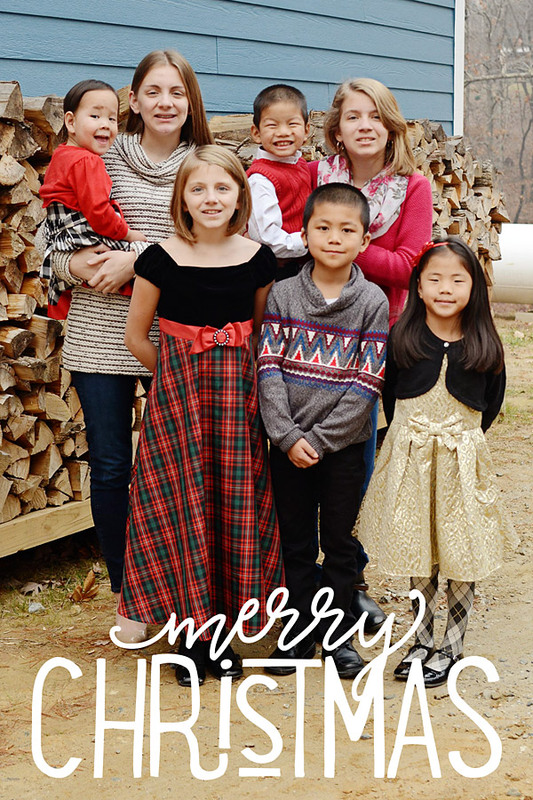 I wanted to wish you all a Merry Christmas and let you all know you mean so much to our family. Thank you so much for your support this past year. I look forward to what 2017 is going to bring! We had a lot of fun with all of these Christmas activities, especially with Abi and Isaac experiencing them for the first time. I can't believe I only have two more weeks to scrap of 2016! Today I have a couple of great oldies on sale: one that is very clean and simple, and one that is a bit more playful. Enjoy the 50% SOSN discount on these products today only, December 21, 2016. 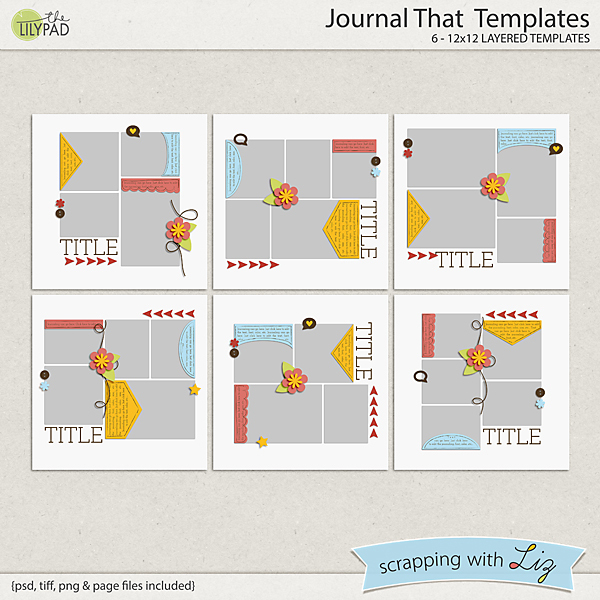 Journal That Templates is a set of 6 templates with almost-pocket-style designs. 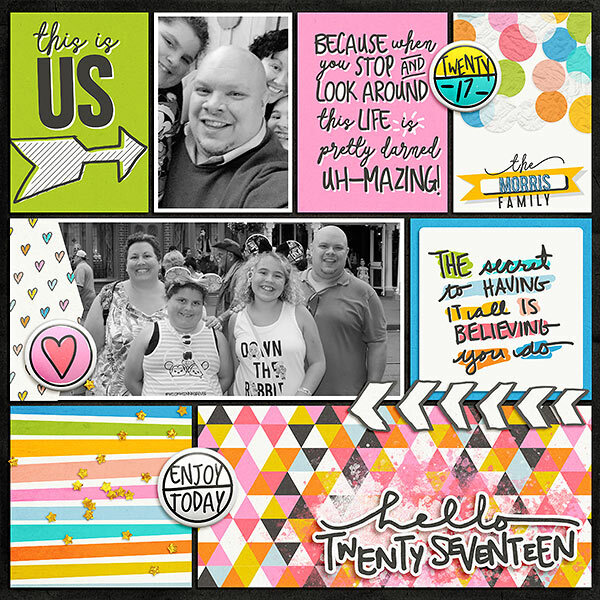 Each has several rectangular photo spots, great for photos or for journal/filler cards. 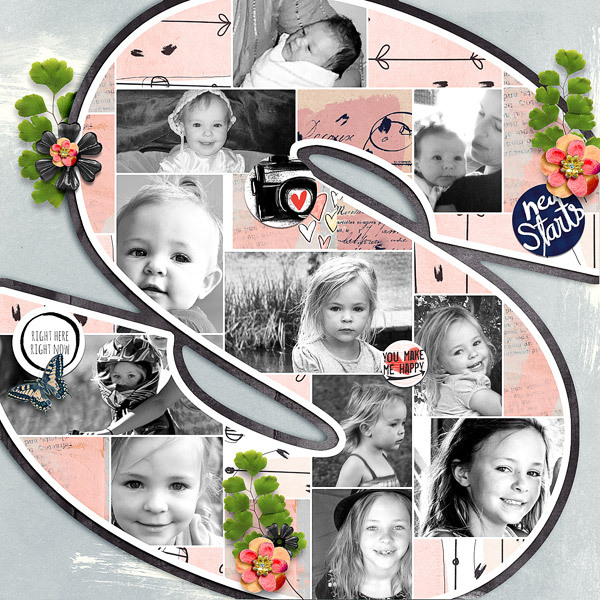 Shutter Templates are photography inspired with paper pieces that mimic the shutter or aperture mechanisms in a camera. 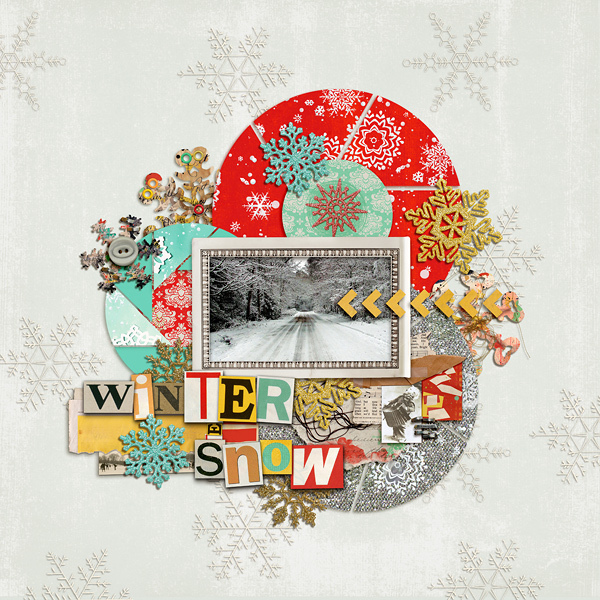 Ellen scrapped this beautiful wintery page with Shutter Templates. 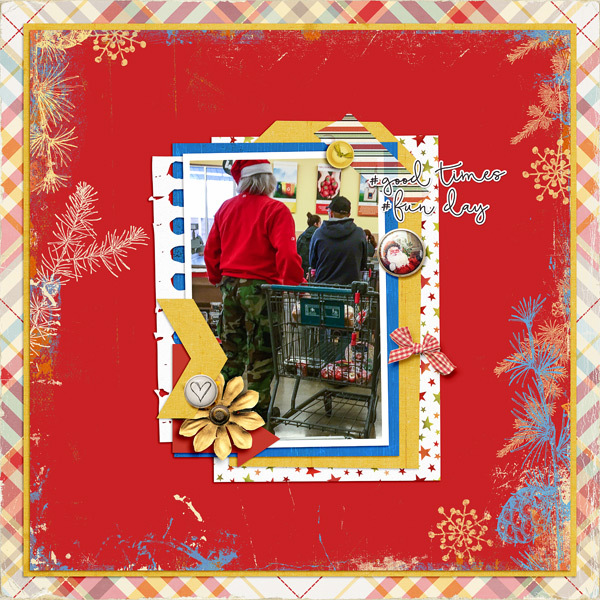 And a fun Christmas page by Iowan using Journal That Templates. Today's highlight is by Ruth Anne. It certainly does not matter that this page is seven years late, this cover page is fantastic! And she finished the album, that's what matters. I love how she mixed the photos in with some paper spots. It's like a little sneak peek into the album, and it makes you want to see more. 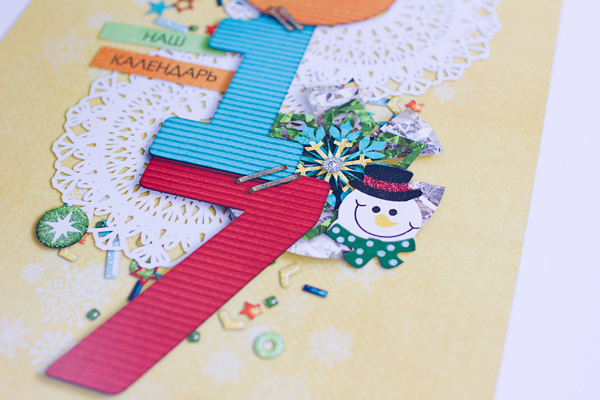 The little dotted frame is great because it draws your eye around the paper and helps keep the flow of the page going. Great job, Ruth Anne! Make sure to share your SwL pages in my private facebook group. I love seeing them! 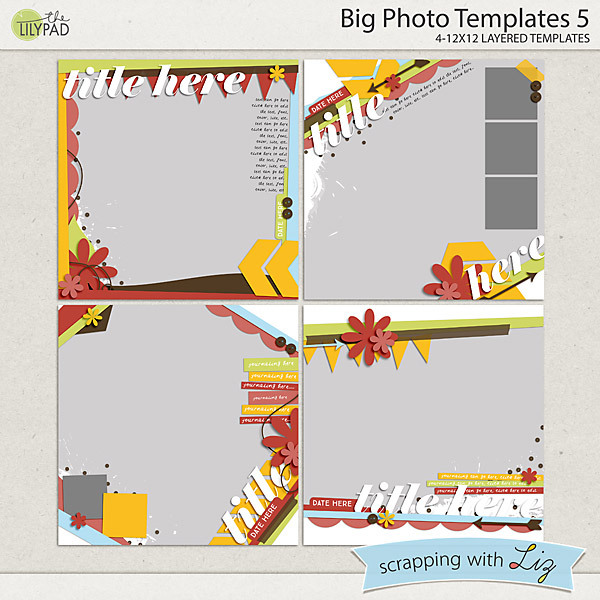 Liz has some new Big Photo Templates for us, and a nice stash-building set of photo clusters. All are 20% off through December 18, 2016. 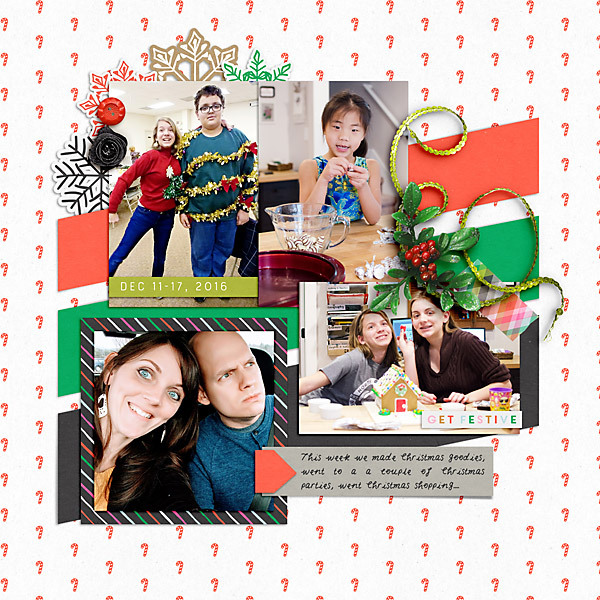 Look at this gorgeous Christmas page that Maribel created using Big Photo Templates 5. 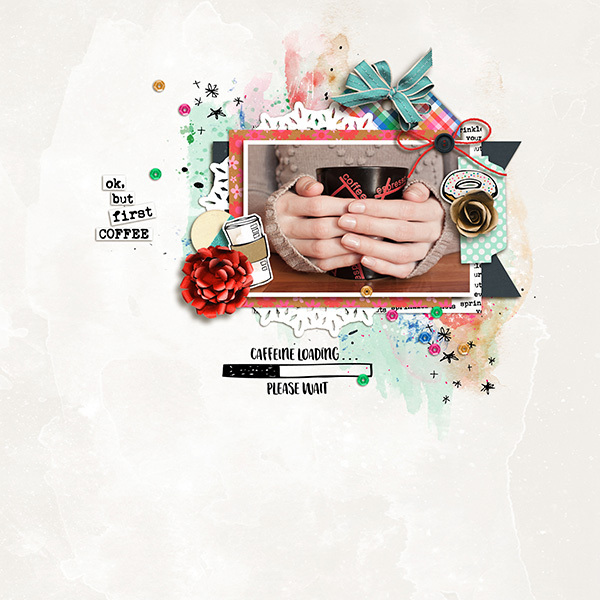 Susanne scrapped this fun coffee page with the Photo Starters templates. 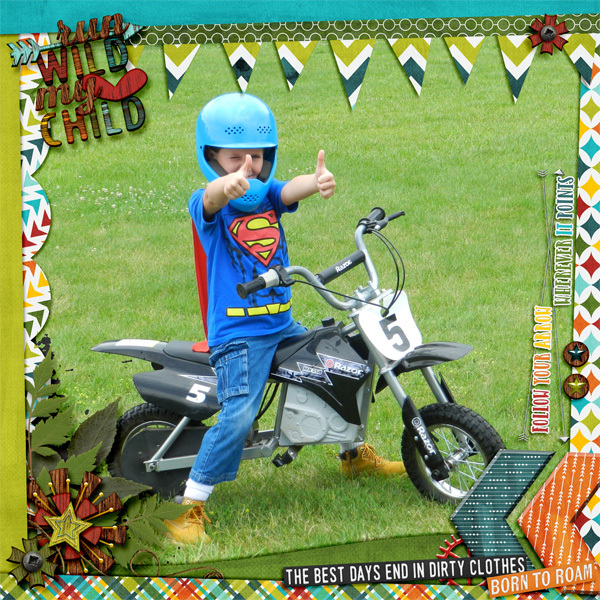 Here is Christine's page with Big Photo Templates 5. I love that fun, big photo. 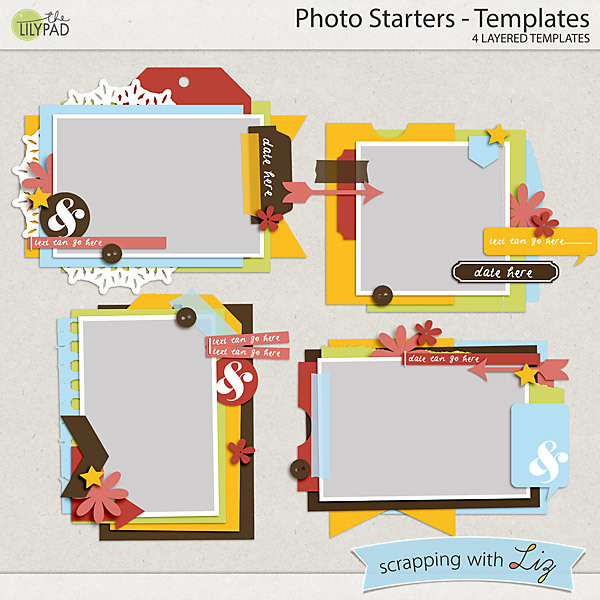 Here is Donna's page with Photo Starter - Templates. 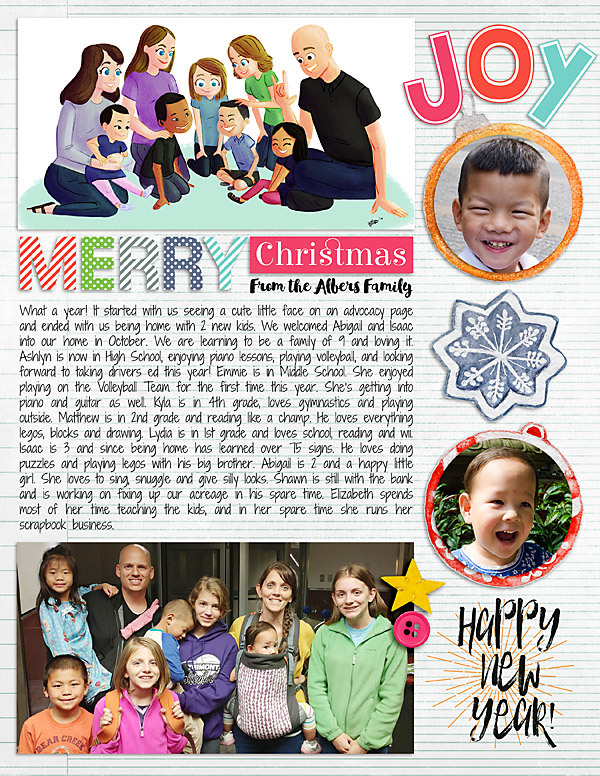 Another Christmas page! Check out the product page for more sample pages. Week 49: Decorating, Hot Chocolate and More! This week was a random assortment of fun: decorating, band concert, muffin making, hot chocolate drinking, projects, school, baby shower, friends over and so much more. Some of it is captured on this page and some of it isn't. My photos were lacking this week, not sure why. I'll do better next week! Isn't that background paper so cute? 50% Off One Day Only! 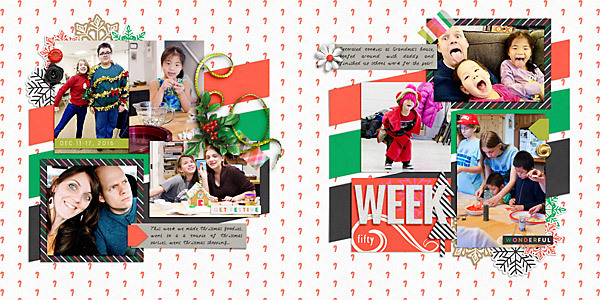 Weeky 48: Christmas is Here!